I'd start by checking for vacuum leaks. check any vacuum hoses, if they are hard or checked replace them. If there is no obvious leak from fuel lines, gas could be seeping from somewhere on the intake side of the engine. Get a can of aerosol carburetor cleaner and while the engine is running spray it around the manifold gaskets, base of carb gasket, even the pivoting shafts (butterfly, choke, etc) of the carb. If the engine smooths out while spraying you have a leak. It's a good idea to use eye protection for this, you don't want a backfire in the face. I have a zenith on my Gleaner combine, it is attached to a budda engine. 1 turn on the on the idle mixture seems wrong, mine is 4 1/4 turns and I only have the one screw. follow KW's suggestion on the vacuum leaks, we had an Gleaner A that gave us fits, and it was the intake manifold gasket. Don't know if you ever remember tuning one of the old cars, but it was quiet easy to cross tune the carb screws on idle and run which cage you odd operation at higher rpm. 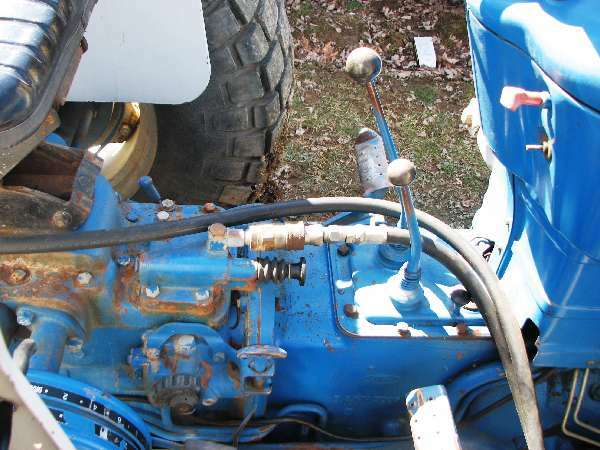 I assume your zeinth carb is an updraft like mine, finding a little gas in the bottom is pretty normal when the engine shuts down. you didn't say when you tried restarting if you had the throttle wide open? Another, were you on uneven ground, the zeniths were notorious for flooding if you set the float level at the factory point. It needs to be up maybe 0.2 or .3 inches to keep the bowl from filling. Also, you didn't say if this is something that just started, had you done a service, was there anything which occurred before this issue?